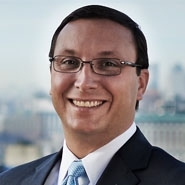 Jason D'Angelo is a seasoned commercial and securities litigator who advises financial institutions, publicly traded companies, asset managers and investment advisors, major league sports teams, diamond manufacturers, pharmaceutical companies, software companies and other domestic and international entities. Jason’s experience spans a wide range of matters before state and federal courts, and governmental and regulatory bodies, including significant, multi-jurisdiction class actions, insurance disputes, and regulatory inquiries and investigations, many of which have involved claims under the Securities Act of 1933, the Exchange Act of 1934, the Investment Company Act of 1940, the Investment Advisers Act of 1940, the Racketeer Influenced and Corrupt Organizations Act (“RICO”), and state consumer protection laws. Prior to joining Herrick, Jason was with Clifford Chance and served as the senior law clerk to the Honorable David N. Edelstein, United States District Court Judge, for the Southern District of New York. Jason also advises companies involved in complex international litigation. He currently represents a global diamond manufacturer and distributor in a series of lawsuits in the United States, the United Kingdom and Belgium relating to the disappearance of over $135 million in diamonds and sales proceeds. These lawsuits followed years of intense investigation across the globe to trace the stolen diamonds and the flow of sales proceeds. To date, Jason has obtained substantial settlements from the company’s insurance carriers in the United States and the United Kingdom, and from a major international financial institution. After the Italian conglomerate Parmalat collapsed, Jason also secured summary judgment dismissal of all class action claims brought by the company's shareholders against a prominent financial institution. Clients trust Jason to carry out sensitive investigations and look to him for advice in navigating a variety of complex issues beyond litigation. His clients benefit from his responsiveness, perseverance and dedication to solving their legal concerns. Indeed clients often remark that he gives them the impression that they’re his only client. Jason lives with his wife and their three children in Ridgewood, New Jersey, and is a trustee of the Ridgewood Baseball & Softball Association. U.S. Court of Appeals, 2nd Cir. U.S. Court of Appeals, 3rd Cir.